JNU 2019 Exam Dates has been released. The JNU university level examination called JNUEE (Jawaharlal Nehru University Entrance Exam) will be conducted by NTA from 2019. JNU Exam is a gateway for those aspirants looking for admissions in different UG, PG and other programmes offered by JNU. This university offers courses in the field of engineering, science, arts, computer applications and many others. Here we are providing details about JNU Exam Dates 2019. JNU 2019 Exam dates has been released. The application form has been started from 15th March 2019.Check other dates below. Candidates check the complete details of JNUEE exam dates including pre & post examination dates. The JNU Application Form 2019 has be released from 15th March 2019 through online mode. The last date to submit the application will be 15th April 2019 via online mode. In case, the candidates make any mistake in the application form, they can correct it during application correction period. The JNU application form correction will be started from 22nd – 28th April. 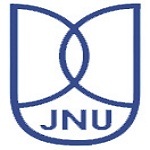 The JNUEE Admit Card 2019 will be released on 10th May 2019. The JNU Entrance Exam will be organized from 27th, 28th, 29th, 30th, 31st May 2019. After a few weeks of the examination, the result will be declared by the university via online mode. The authority will declare the JNUEE Result 2019 on 10th June 2019. Shortlisted students will participate in the viva-voice round which will be conducted from 26th June to 3rd July 2019. The JNU merit list will be released on 18th June 2019 & 8th July 2019 (viva-voce candidates). After the release of the merit list, the JNU Admission Process will be started from 20th June 2019. If you have any other queries related to JNU Entrance Exam Dates 2019, you may leave your queries below. Can i fill the application of BA H now (21/10/2017)? The registration is not started yet. Sir what I wanna do after completing online application procedures? I’d taken a printout of application. Did I wanna send it to JNU via any online mode? After submission you can take a print out for your own. No need to send JNU. Sir kindly:I want to know jnu b.a form from Arabic side 2019 but when we see jnu site so there is no instructions for applying or registration . sir i want to apply for llb course 2 yrs or like coz i have b.a. degree in my hand could it be integrated plz do tell. Then am I able to get admission or not…? And i want to give JNUEE with in three subjects.. Can I do this? Your gap must be a problem, If you can justify your gap then only you would be eligible to get admission. Can you tell me if the result for chinese and french B.A hons is out yet? My name is wahidul islam and I want to admit my self in jnu .my qualification is 10+2. sir.. please allow us to fill the form of jnuee. due to our exams we were unable to fill the form. please consider our request asap. Due to server problem, I failed to apply for Chinese language course. If management reconsider me for subject entrance exam. I will be grateful for this act of kindness. Hi, I have also applied for Chinese language, but you unfortunately did not apply, I think, admission committe should consider your request. sir,i want to give JNUEE this year…my exams have been finished two days back..n didn’t got to know that admissions are closed..may i plzzz get the admission form..this is my humble request to you..kindly grant help. What is the entrance date of physics in msc? When is the entrance for modern history? I want to appear for m.sc. entrance for life science as well as for biotechnology.what are the dates of these two exams? If they are on the same date? is there possibilities to made changes in entrance exam dates? Sir please tell me is there particular date for jnu phd entrance it shows may 16-19.but another exam CUCET also gives 18 may for exam. Can you give exact examination dates with subject. We have mentioned the dates in our article. Can I know exact date for exam of per subject,as i wanna opt fo more than one subject. When the entrance exam will be taken & how I can apply for the B.Com after class 12th ? Which arts courses can I get in JNU passing (10+2)?? Do we have msc(maths) in JNU…?? I want to apply the JNU msc application form 2017 but not getting the registration link that to be registered before fillingup of application form. Sir I want to admission in msc physics in jnu.please tell me the last date of jnu application form. I don’t have any link so how can I download the admission application form of MA theatre?? How long the duration of filling the application form will lust? Is there any information available about the new registration? When we will get application form of post graduate…?? till tody online application form nt available whn will it available??? Sir when will start online application msc in geography. My friend is now study for B.com final year under calicut university. And he want to do his PG in JNU for MBA. Can you inform the deatiles for us…. Sir. I want to know that in which day MA entrance online form will be avilable ? I want to get admission in BA(hons) this year… I have completed my 10+2 education. When the registrations for JNU cbee will start? What is minimum percentage to get in boards for admission in jnu for bca course.my physics and chemistry marks will be seen for admission in bca. I want to know about MA English admission in2017. Sir i want konw that in which day mphill entrance online form will b avilable?? Can I write answers in hindi in MA geography entrance exam? I’m in last year of b.sc from university of Delhi and we have our exams during the third week of may. So can you provide me exact information about date of entrance exam of m.sc physics . In which date JNU application form will be started ? Exact date has not announced yet. I want get admission for B.A hons. Please give me complete information. Will be released within a week. Till today the application form for jnu ba hons in foreign language 1st year is not available in official website of jnu.when i can know the details about application form online mode starting date? Sir, from when will the online application for entrance exam be available? Is it possible to take admission in JNU for 2nd year BA English Hons?? SC.How I will get admission in B.SC.2017.please give me full information. I want get admission for M Phil how can i get admission online? I am in last year of B.SC.I want to do MA in political science.How I get admission in JNU?